Insurer likely to support Ratan Tata; reduction in stake might have been profit booking. The State-owned insurer Life Corporation of India, a major investor in Tata group stocks, reduced its stake in the companies during Cyrus Mistry’s tenure at the helm. According to shareholding data submitted to stock exchanges, LIC trimmed its holding significantly in many of the frontline Tata group stocks since December 2012, when Cyrus Mistry took over as the chairman of Tata Sons. Among the companies that have witnessed a sharp selling by LIC are Tata Elxsi (526 bps or basis points), Tata Communications (412 bps) and Indian Hotels (401 bps). In the same period, the largest insurer in the country increased its stake in Tata Global Beverages by 249 bps, and marginally in Tata Motors (22 bps), Tata Power (14 bps) and Tata Consultancy Services (2 bps). Sources indicated that LIC was likely to take the side of Interim Chairman Ratan Tata in the ongoing feud between him and Mistry, who was ousted as chairman last Monday. Officials said traditionally, LIC, being a conservative player, had supported the founders or promoters in cases of feuds in past cases. Tata also met with LIC Acting Chairman V K Sharma on October 28. Even in the July-September 2016 quarter, the State-owned insurer had trimmed holdings in six out of 11 Tata group companies, the data showed. 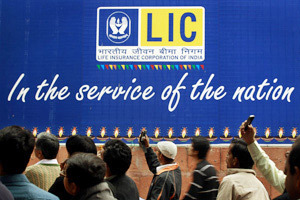 LIC owns shares worth more than Rs 30,000 crore across various listed companies of the Tata group. According to a fund manager at LIC, who did not wish to be named, this selling by the insurer was a part of its long-term investment strategy and investment decisions were taken keeping in mind the market conditions at that point of time. “It was not a great period for equity markets. In 2013, the Sensex yielded only eight per cent returns and several top Tata stocks took a beating during the correction and hence LIC had acted accordingly,” said the fund manager. An email sent to LIC seeking a response remained unanswered. Corporate governance experts said leadership was a key factor that institutional investors might consider while investing. “The tone of a company, its ethical values and business strategies are set by its leadership. Hence, it is an important factor for investors. However, there are several other factors such as future outlook, market conditions and financials that investors would consider before taking a call on investing,” said Shriram Subramanian, founder and managing director, InGovern Research Services, a proxy advisory and corporate governance firm. Another senior officer at LIC said there was no correlation between the selling and the feud within the Tata group. “When profit booking is required, we always look at an opportunity to sell the existing stocks we have. That is what has happened in this case as well. The current situation at the Tata group was not a reason for our investment decision,” he said. Although LIC has pruned its holding in the Tata group companies during Mistry’s tenure, their stock price performance has been better than the market over the past four years. For instance, shares of Tata Motors have surged more than 150 per cent since 2012 while shares of TCS have climbed 96 per cent since Mistry took over. Even shares of Indian Hotels rallied 110 per cent during the period. The only exception to the list is Tata Steel whose shares have given flat returns. Incidentally, Mistry, too, highlighted the outperformance of Tata group in a recent letter to the Tata Sons board. “During my term, the operating cash flows of the group have grown at 31 per cent compounded per annum. The Tata group valuation from 2013 to 2016 increased by 14.9 per cent per annum in rupee terms as against the BSE Sensex annual increase of 10.4 per cent over the same period. The Tata Sons net worth has increased from approximately Rs 26,000 crore to Rs 42,000 crore, after considering the impairments,” Mistry said in the letter.